If your house is anything like mine at Easter time then this post is for you. Poundworld has some fantastic Easter treats and activity packs that are a great way to keep the kids entertained at Easter without the massive price tags. We have two Easter Bonnets too make every year for their school parades and luckily for me this year, Pounworld has came to my rescue. I was sent a pack of samples to get an idea of what is available. I was pleasantly surprised by what I received. 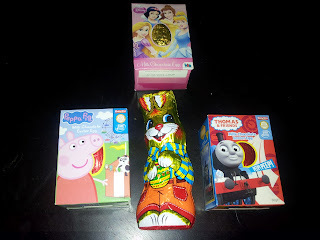 Take a look at the yummy Easter Eggs, they're even in all your children's favourite characters. At the great price of just £1 each, you really can't go wrong. 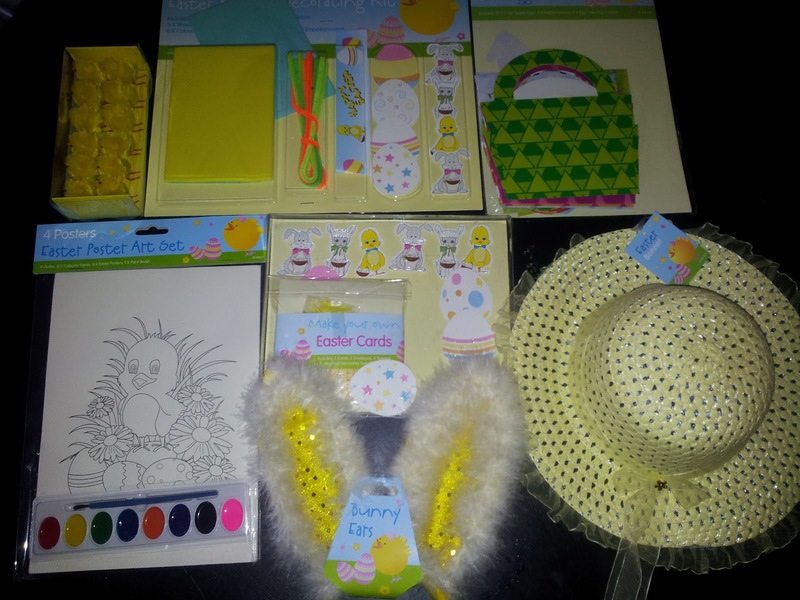 Other Easter goodies and fun activities include items like the ones shown below. 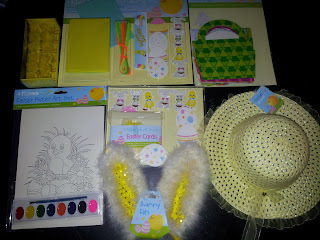 There really is everything you need to make the perfect Easter bonnet. Straw bonnets, coloured paper and assorted craft making bits. Cute little fluffy chickens and great colouring sets. There's also fab fluffy rabbit ears, which I might have to borrow. If you're looking for Easter craft goodies or even more traditional Easter eggs then check out Poundworld, who knows what bargains you might find. You can find your local store on line. I am definitely going to have a look at my local pound shop now.